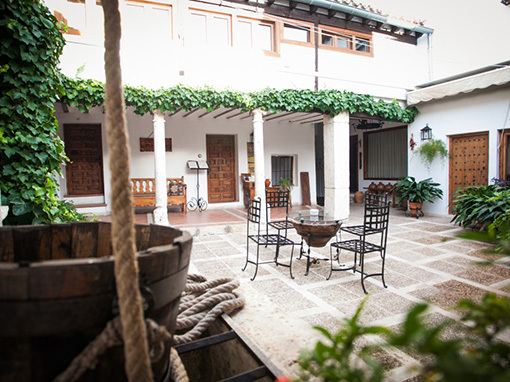 Country House & Spa “La Graja” doesn’t have a noble history, as many of the other buildings in Chinchón do, but flavor and tradition lay behind its walls, hiding the story of common people. 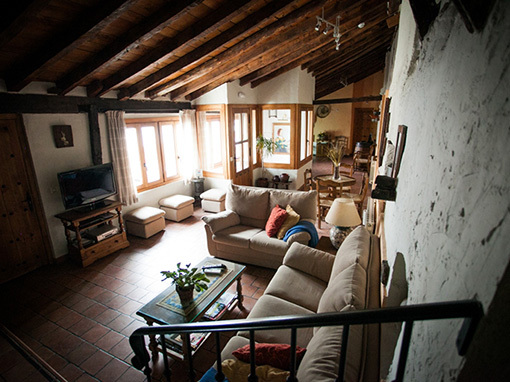 With more than 200 years of history, it was born as a simple country house, dedicated to agricultural work and with a structure similar to those we can find in the lands of Castilla. At the beginning, part of the ground floor was used as a winery, for the making of those drinks that are so well appreciated by those with good taste. In the middle we find the central patio, from which the chambers and stables were accessed. The upper floor was always a pantry, which is called ‘chamber’ in these lands, in which the grain and garlic were stored — both highly important ingredients in the agriculture of this municipality — along with potatoes and sugar beet among others. The upper building has suffered some changes in its design, but it has always conserved its original structure. 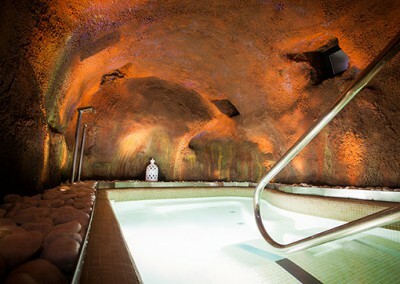 Nowadays, those places are the bedrooms and common zones of the Country House & Spa “La Graja”. In the year 2002, the idea comes up to give life back to this building that stores so much history within it. The idea is to turn it into a rural house, but not like any other one. The ambition is to turn it into a charming place, preserving the original walls and beams. Since then, that ambition grew and the goal was to preserve as much as possible of the original building, for that is the key to its charm. Two years of remodeling went by and then came the decoration, inspired in bucolic atmospheres and using old country house materials. Every room is different from the next, and they all have their own charm. This is way the name of each room is inspired by its singular essence. 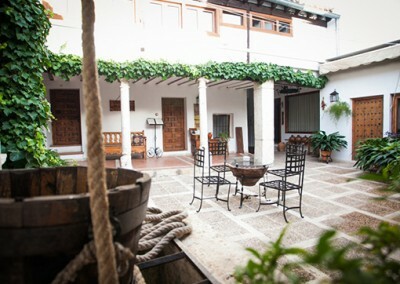 Its portico-like patio, with its ancient columns and fountain, is also extremely charming. This fountain was one of the first to drive water to people’s houses, saving them from having to go to public ones. The sound of its flowing water, the chirping of the birds and its scent of history are sure to make anyone’s stay an unforgettable experience.